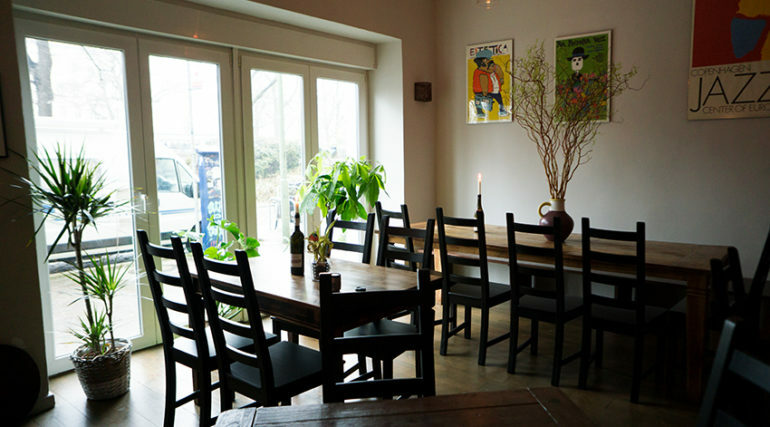 In Berlin there is a natural wine bistro where you can taste delicious natural wines from Italy, but also enjoy the “tap” polenta. Piero is a documentary filmmaker, Rita has worked for many years in development cooperation projects and both come from Rome. 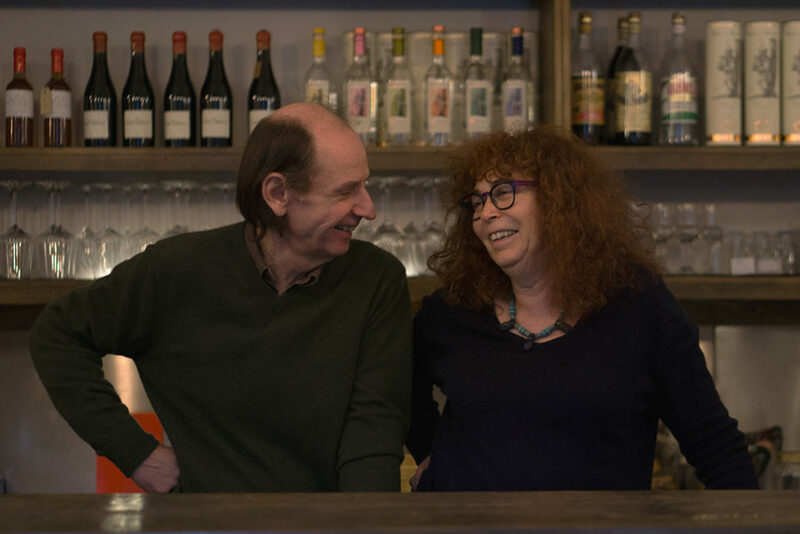 After a life spent around the world in Mexico, Cuba and Mozambique, they decided to start something new in Berlin, so they opened a cozy natural wine bistro in the Prenzlauer Berg district. 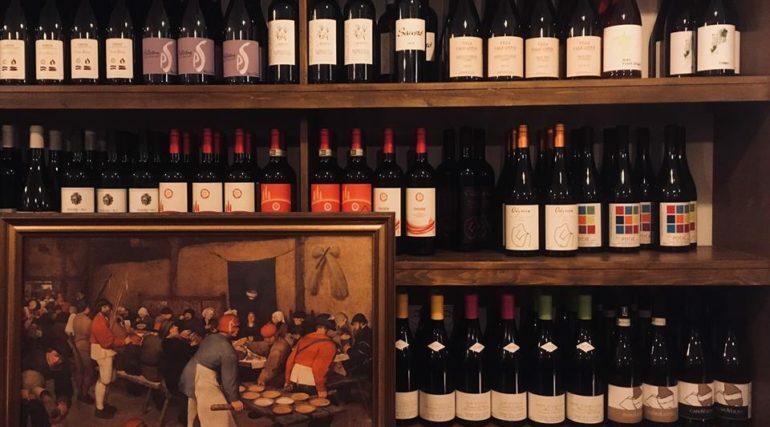 In their restaurant it is possible to drink natural wines accompanied by cold cuts and cheese, “tap” polenta, vegetables in oil (such as aubergines or dried tomatoes), creams of artichokes from Foggia and much more, everything organic. The environment is perfect for an aperitif, a light dinner or a pleasant after-dinner with your friends or your partner. You can sit at the wooden counter or at a table; and the atmosphere is created by soft lighting, jazz music in the background and white walls brightened up with colorful posters from Cuba: it’s hard not to want to return after having been there for the first time. «There is no universally recognized regulation about natural wine and for this reason it is easy to confuse organic and natural wines. As for natural wines, in comparison to the organic, special attention is paid to the cultivation of grapes as well as to the whole process of vinification, which exclusively involves the use of indigenous yeasts. Except for a small quantity of sulfites (only if necessary), natural wines do not contain any other additive, not even the ones the organic legislation would allow “. 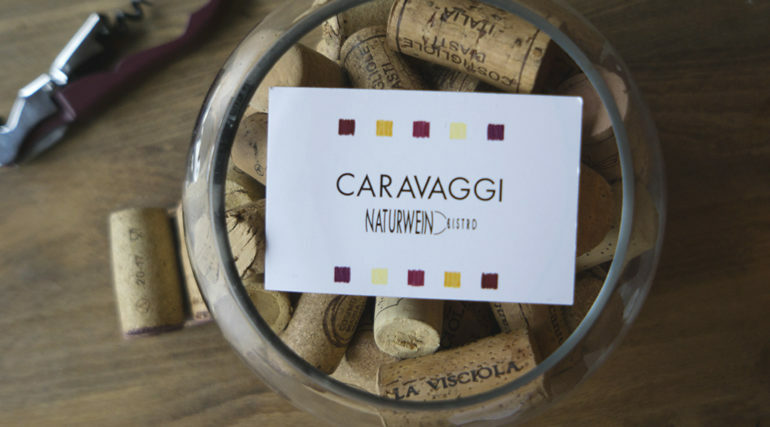 As already mentioned, the wines of Caravaggi are all natural. ” Here You can find very special wines like the one made with Freisa, a typical grape variety from Monferrato that produces a highly aromatic red wine. Another is the wine from Ansonica, which produces wines with a deeply Mediterranean flavour. These are bottles that you can hardly find elsewhere, consequently we always like telling their stories and their particularities. As far as sales are concerned, our Berlin customers doubtless prefer great classics such as Primitivo, Sangiovese and Rosè di Bardolino. 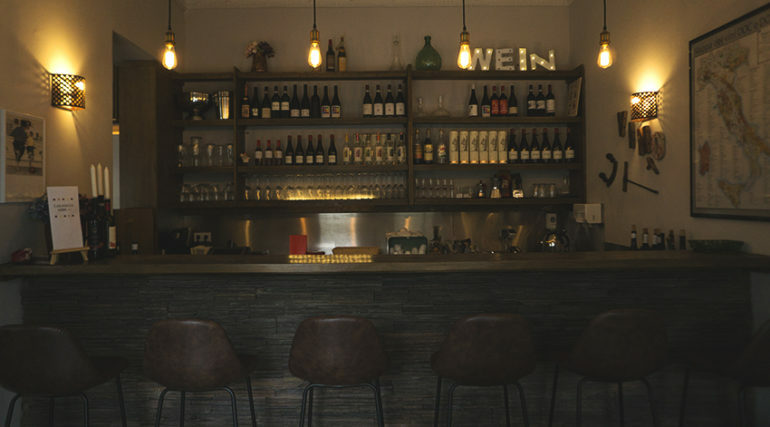 These are natural wines, too. Prices range from 4 to 7 euros per glass and from 14 to more than 16 euros per bottle. The wines of Caravaggi come from grapes that perfectly express the Italian territory and whose production leads to the re-evaluation of our territory and the possible recovery of grapes that no longer existed or did not enter the international market. In Italy the number of native vine varieties is higher than in any other European country”. «We prefer the cuisine of central, south-central Italy with particular attention to the Roman one. All the products are 100% Italian – we had already bought many of them in Italy for our family through one of the many Solidarity Purchasing Groups in Rome, where great attention is paid to the high quality of the products (almost all organic). Above all it is important to respect the rules against the exploitation of workers. Piero and I personally choose all the products, for example oil, which comes from a small organic Sicilian producer. We have different types of salami, such as black pork salami, or “le coppiette romande”, WHICH are strips of dried pork with chilli, and other typical Italian specialities, like Parma ham aged 30 months, soppressata, capocollo and ‘nduja. Talking about cheese, we have Parmesan cheese from an organic-biodynamic production, goat cheese and gorgonzola, which can be accompanied by honey or jams. For those who would like hot dishes, there is our “tap” polenta or two different types of crostini: the Toscani ones have chicken liver pâté with capers and anchovies or with taleggio and sausage, while the Roman ones are made of toasted bread covered with mozzarella, butter and anchovies or with slices of ham.